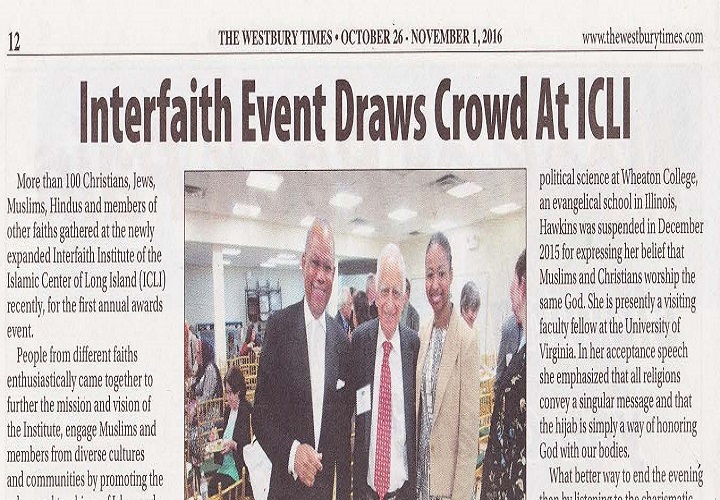 When some countries began to ban the hijab of Muslim women and attack the Islamic dress code, Dr Larycia Hawkin, a Christian and former associate prefessor of politics and international relations at Wheaton College, Illinois, began to wear it in solidarity with Muslim women in the college. 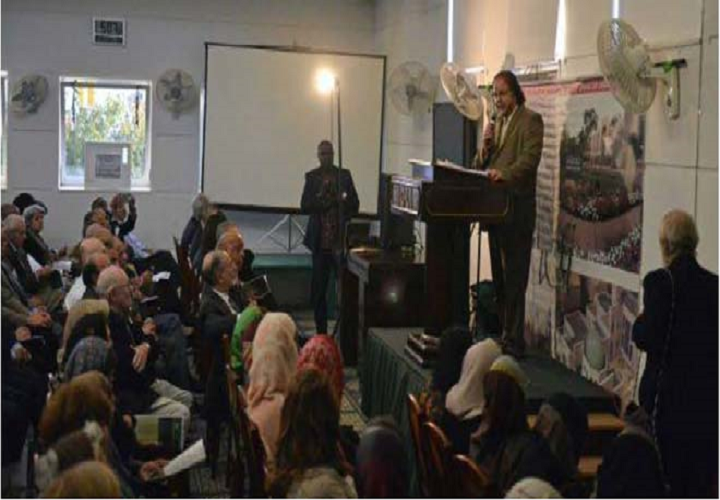 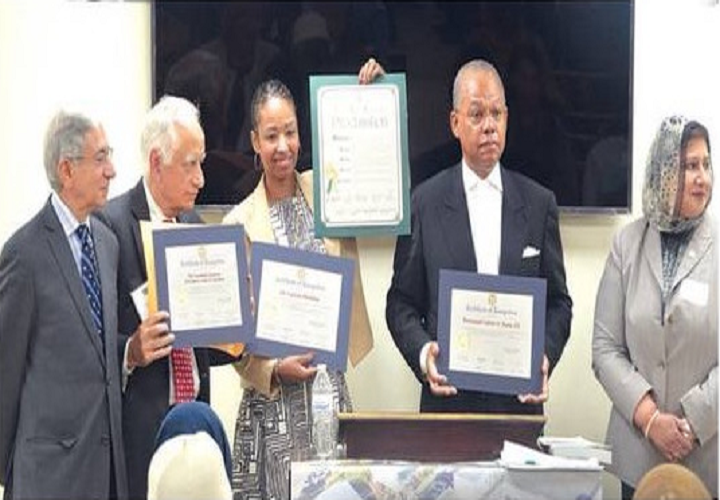 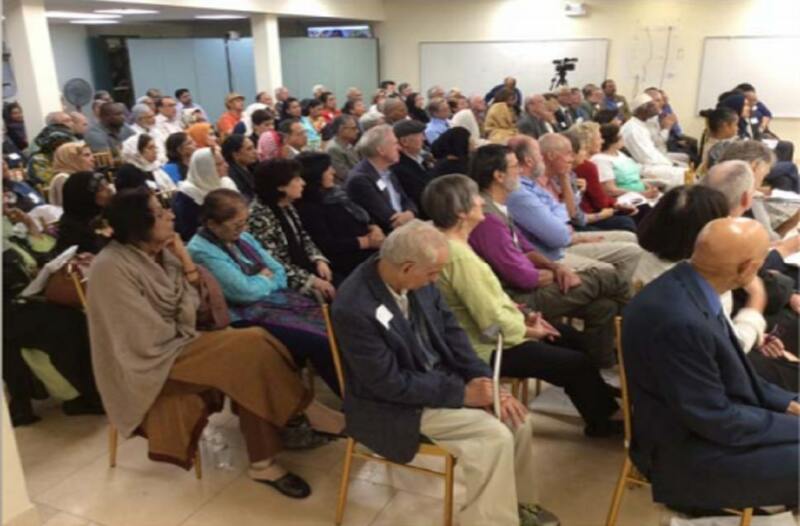 More than 100 Christians, Jews, Muslims, Hindus and members of other faiths gathered at the newly expanded Interfaith Institute of the Islamic Center of Long Island (ICLI) recently, for the first annual awards event. 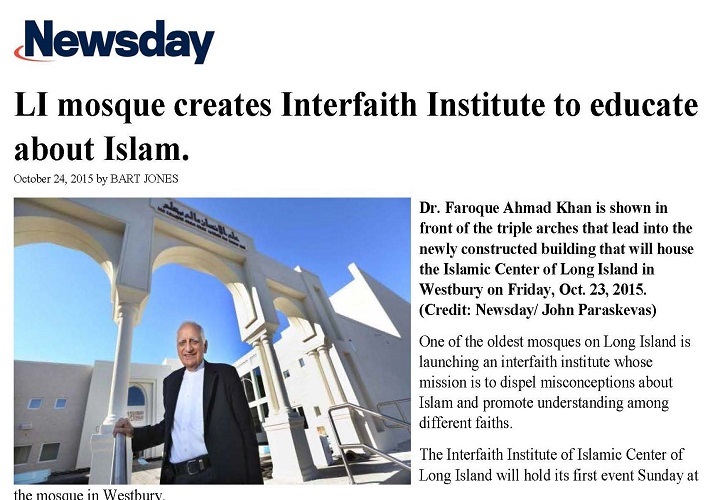 Dr. Farooque Ahmed Khan is shown in front of the triple arches that lead into the newly constructed building that will house the Islamic Center of Long Island in Westbury on Friday, Oct. 23, 2015. 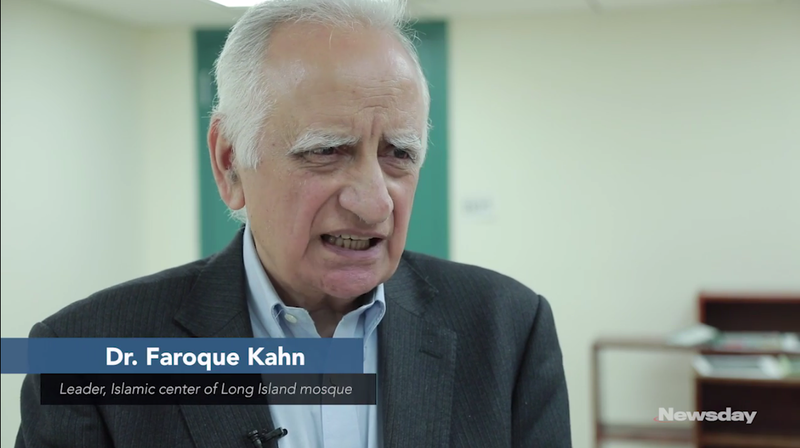 Westbury teacher Daniel Chavez, who has never been inside a mosque, spoke about the experience, which he considered eye-opening, and described what it taught him and his students as they visited The Islamic Center of Long Island on Monday.